As you people know that Amritsar is famous for eating food and roaming around places. Today we would like to tell you that Amritsar also popular for “clothing”. There is a huge market in Amritsar which is known as the “Kapda Market in Amritsar”. This Kapra market is very near the Town Hall and you will always see a crowd of ladies. As you all know females are fond of shopping. 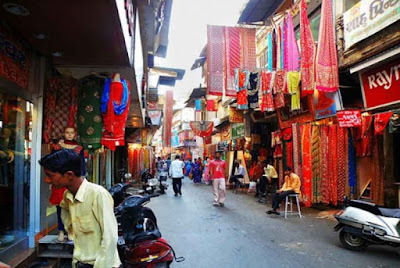 Kapda bazar Market is the hub of “clothes” which is located at town hall. Kapda market is popular for their “Punjabi dress”. Here you will find Punjabi suits and Patiala Salwar at a very reasonable rate. As you all know that Ladies are considered famous for the shopping of clothes. In the festival session, people do shopping at kapda market for their families & Kids. We will also suggest you to shop along with your family in this market. How to Reach Kapda Market in Amritsar? Distance from Golden Temple to Kapda Bazar Amritsar? Shastri Market famous for woollens and blankets. Katra Mohan Singh famous for bridal glass bangles and many others. Location of kapda bazar in Amritsar? What are the timings of kapda bazar in Amritsar?